This article provides a practical explanation of the 4C marketing model. After reading, you’ll understand the basics of this powerful marketing tool. What is the 4C marketing model? The 4C marketing model is a model that describes a company’s marketing mix. This relatively new approach to marketing shifts the focus from producer and product to the consumers and their needs. Instead of the focus on mass marketing of the traditional 4P marketing model, the 4C marketing model is aimed at niche marketing. The idea behind it is that the more familiar a company is with the consumer, the better it can align its strategies and the greater its conversion rates will be. Because it is the customers who form a company’s marketing mix, the 4C marketing makes them the main focus. In today’s competitive and ever-changing business world, it makes sense to conduct sufficient market research into the wishes and needs of the consumer. The results are then used to set company objectives or determine product developments. If this is not done sufficiently, the organisation runs a risk when it comes to achieving success following the launch of a product or service. 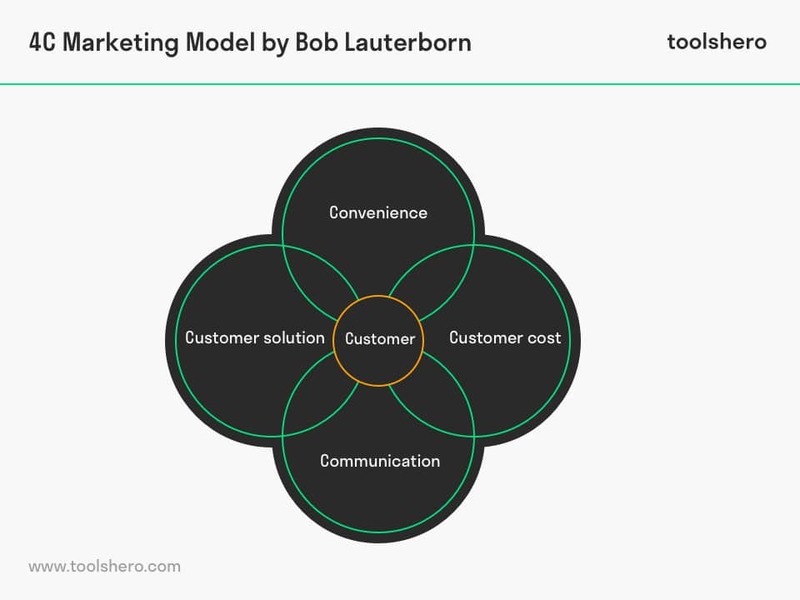 Robert Lauterborn introduced the 4C marketing model in 1990 after he declared the traditional 4Ps obsolete. However, the 4Ps and 4Cs can be considered as two sides of the same coin. One side shows the consumer’s – the buyer’s – perspective. The other demonstrates how the marketing mix should be coordinated from the perspective of the organisation – the seller. As manager or owner of an organisation, it is easy to see and consider things only from your own perspective. This is a major pitfall for many companies because they’ll likely have determined the marketing mix based on a product-oriented vision, such as the 4Ps marketing mix. It is the needs of the customer that have to be fulfilled by a service or product, however. It is therefore a good idea to view matters from their perspective. When taking this approach, it becomes easier to determine what customers exactly want and what they’re willing to pay. Robert Lauterborn claimed that for exactly this reason, the traditional 4Ps are no longer relevant, and provide no real useful tools for modern marketeers. He subsequently developed several variables that he believed to be relevant instead. He rejected the product focus of the 4P strategy, which according to him only led to products being introduced that nobody was asking for. Instead, he believed consumers’ wishes and needs should be the focus of any business. When the customer is king, they are central to the decision-making process for the product instead of the product itself. The best way of determining this is through both primary and secondary market research. In this way, a company can come to understand what customers want exactly and their needs can become the focus of its product strategy. 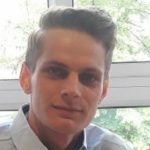 With this customer focus in mind, Lauterborn started to devise and develop the important variables. The eventual 4Cs help put the interests of the customer first rather than the company’s interest. Instead of developing a business-oriented vision, they focus on the customer. The next pillar in the 4C marketing model are the costs – not to be confused with the price of the product itself. The price of the product is only a part of the costs of buying a product. Costs therefore not only include the price of the product – monetary costs – but also non-monetary costs. Aspects such as the time required to purchase the product or costs related to the product’s advantages and disadvantages for the customer fall within the non-monetary cost category. Opportunity costs also fall within this category. These costs refer to the advantages a customer could have experienced by purchasing a certain product, but instead decided to opt for a different product. In other words, customer cost is a reflection of the total cost of ownership. This in contrast to the subset Price from the 4Ps, which only considers the price aspect of the costs. In a 24-hour economy, the convenience of buying something is often decisive for the consumer. The concept of only shopping during business hours is a thing of the past, and has made way for online shopping carts that can be filled at any time of day. Convenience replaces location – one of the 4P marketing model’s pillars. An example of this are online price comparison websites. For example, such sites exist for airline tickets, electronic products, or services. These websites combine the products or services of many suppliers and allow the consumer to easily compare them. The final C in Lauterborn’s 4C marketing model stands for communication. Communication replaces the P for promotion in the 4P marketing model. Lauterborn described promotion as manipulative and one-way. He described his own vision of communication as a two-way conversation between company and consumer. Consumers like to know how a product will benefit them, whereas the seller wants to tell everyone they have the best product on the market. Communication, rather than promotion, takes into account both sides and, if executed correctly, results in a win-win situation. Promotion from the 4Ps doesn’t take into account the consumer’s point of view. Following the introduction of social media and the explosive increase in its use, it has proven to be an extremely powerful means of communication. Moreover, it can also be used as a kind of guidebook and allows you to discover what customers like and don’t like. For example, you can keep track of data such as number of likes, create polls, and ask for comments. The 4C marketing model shouldn’t be a replacement for the traditional 4P marketing model. Instead, the 4C marketing model should be used as a supplement. That way both models can work together to find the right balance between the goals of the company and quickly responding to the changing desires and needs of the consumer. Combining these models creates a strong customer-oriented and product-oriented vision that can increase customer satisfaction, brand recognition, turnover, and profitability. What do you think? Are you familiar with the explanation of the 4C marketing model? How are you planning to combine the traditional marketing mix with the 4C marketing model? What do you believe are the benefits of a customer-oriented, rather than product-oriented vision? Do you have any tips or additional comments? Wang, K., Wang, Y., & Yao, J. (2005, December). A comparative study on marketing mix models for digital products. In International Workshop on Internet and Network Economics (pp. 660-669). Springer, Berlin, Heidelberg. Yun-sheng, W. (2001). Perfection and innovation of 4P Marketing Mix–How to evaluate 4P Marketing Mix. Commercial Research, 5(6).